The OnePlus 6T is set to launch next week and has fallen prey to another leak, yet again. 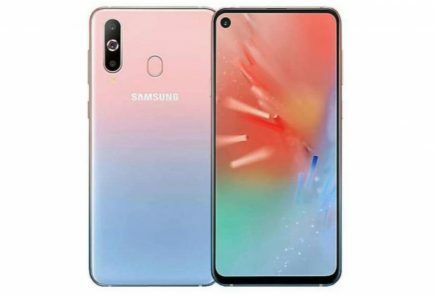 It seems like the closer we are getting to the launch of a smartphone, the more we get to know about it. 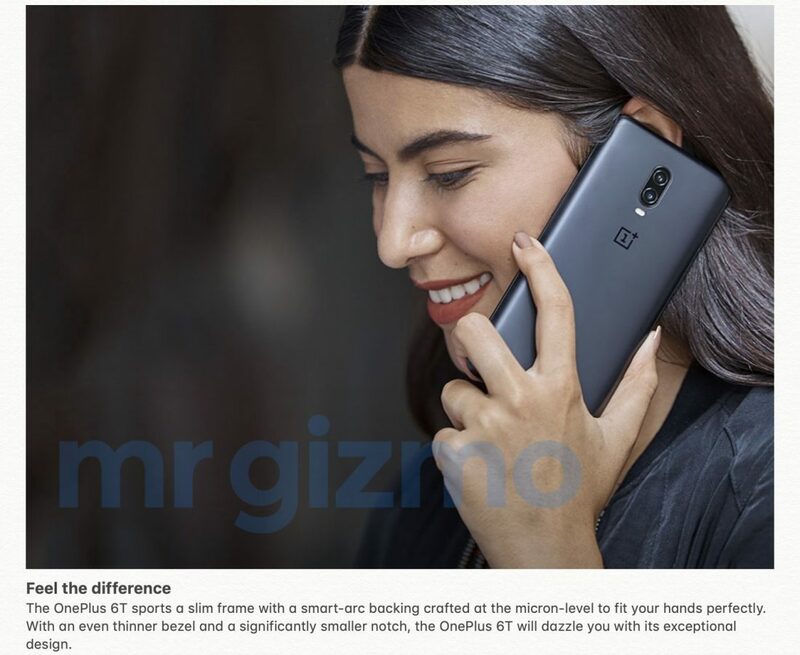 Unlike other leaks, this source claims to have the original specifications sheet along with official pictures from OnePlus. 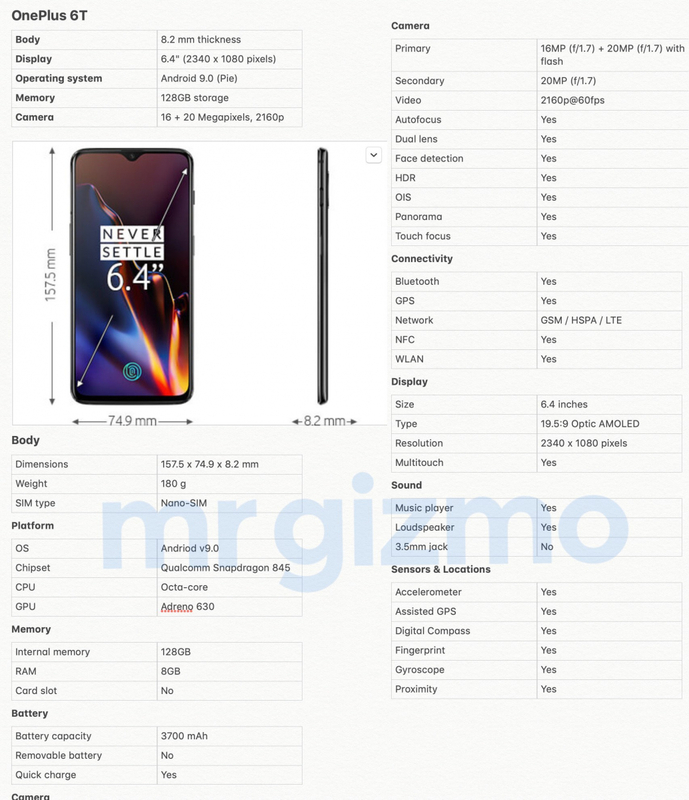 This is probably the most extensive leak of the OnePlus 6T until now and if it is true, gives us a very close look at the device. According to the alleged specifications sheet, the OnePlus 6T has the following features. 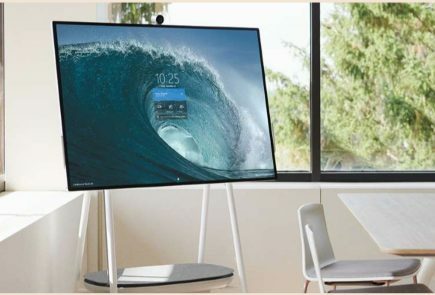 It has a 6.4 inch Optic AMOLED display with a 2340 x 1080 px FHD+ resolution. 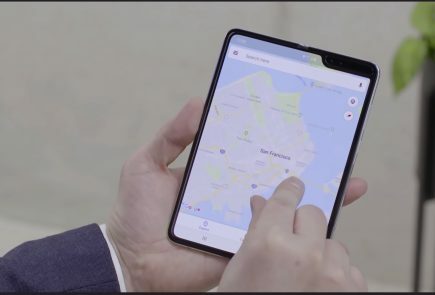 The display sports a water drop notch and has an aspect ratio of 19:5:9. It has a screen-to-body ratio of 86%. The size of the display is not all that has improved and the device has Corning Gorilla Glass 6 for protection. The device measures 157.5 x 74.9 x 8.2mm and weighs 180 grams. It lacks a 3.5 mm headphone jack. The device also has an in-display fingerprint scanner to unlock it securely. The device runs on the Qualcomm Snapdragon 845 SoC and is available in 6 GB and 8 GB RAM variants. In terms of storage, the device has 128 GB and 256 GB options. 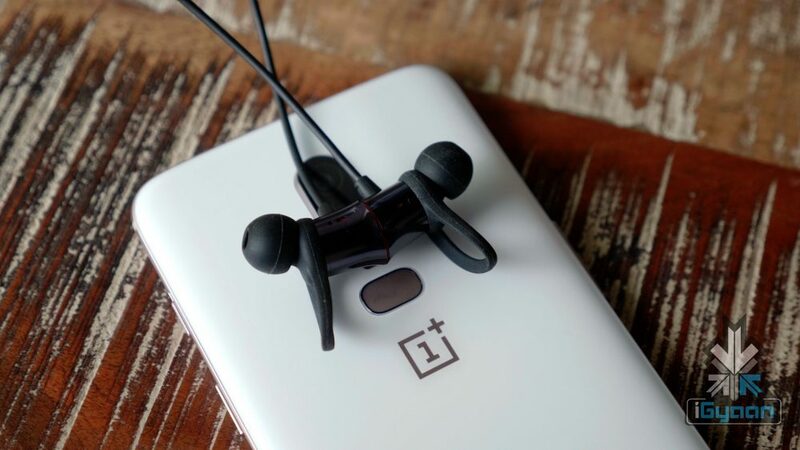 Contrary to some earlier reports, the OnePlus 6T does not have microSD card support. Under the hood, it packs a 3,700 mAh battery and has a USB Type-C port for charging and data transfer. 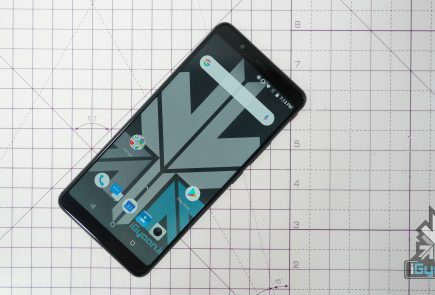 The device is running on Android 9 Pie, which was expected as the OnePlus 6 is already on the latest version of Android. 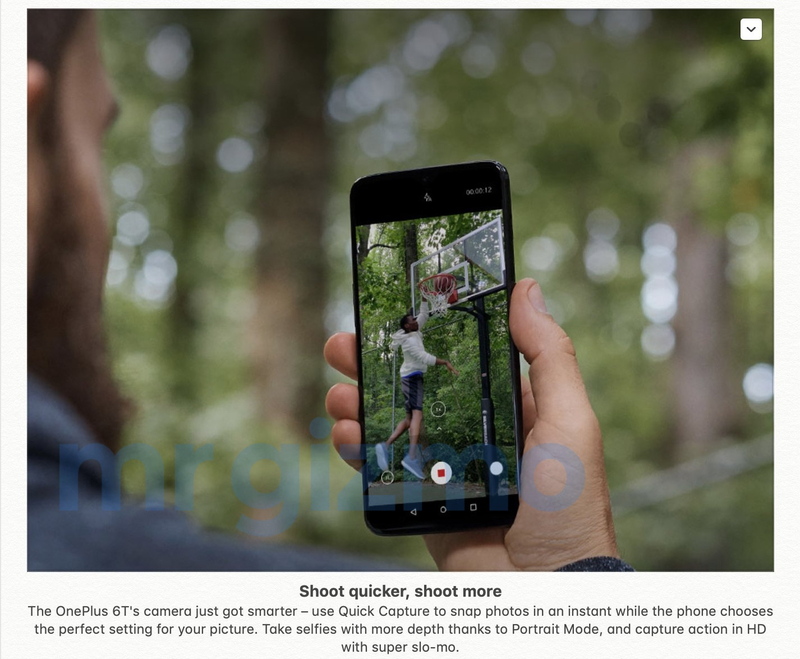 The device has a dual 16 MP + 20 MP rear camera setup, and both the sensors are equipped with an f/1.7 aperture. 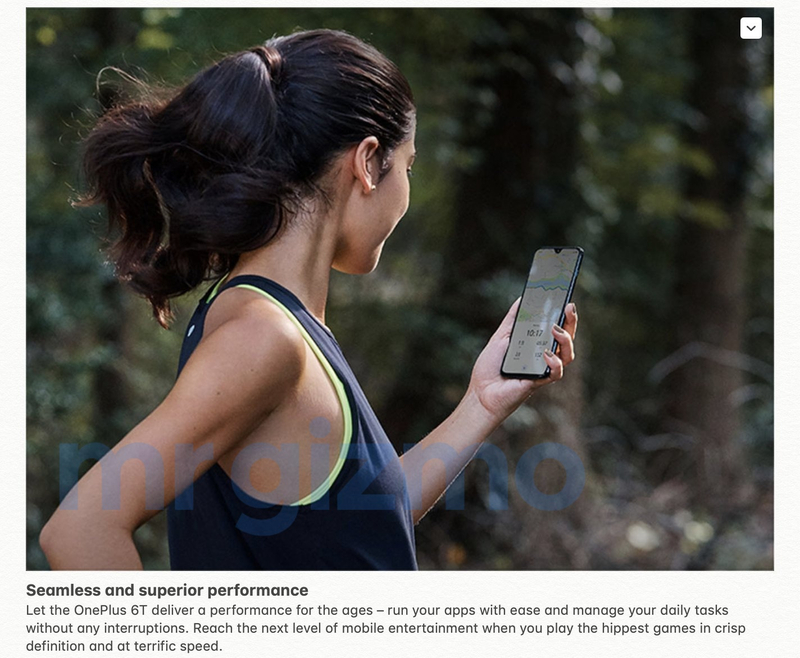 It has features such as Quick Capture, Portrait Mode, and super Slo-mo recording. 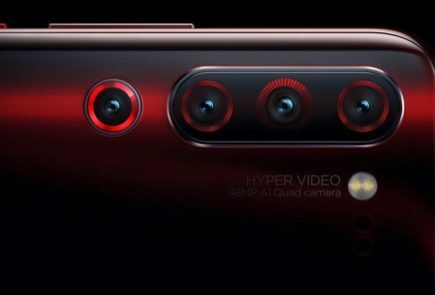 The front facing camera is a 20 MP sensor with an f/1.7 aperture. 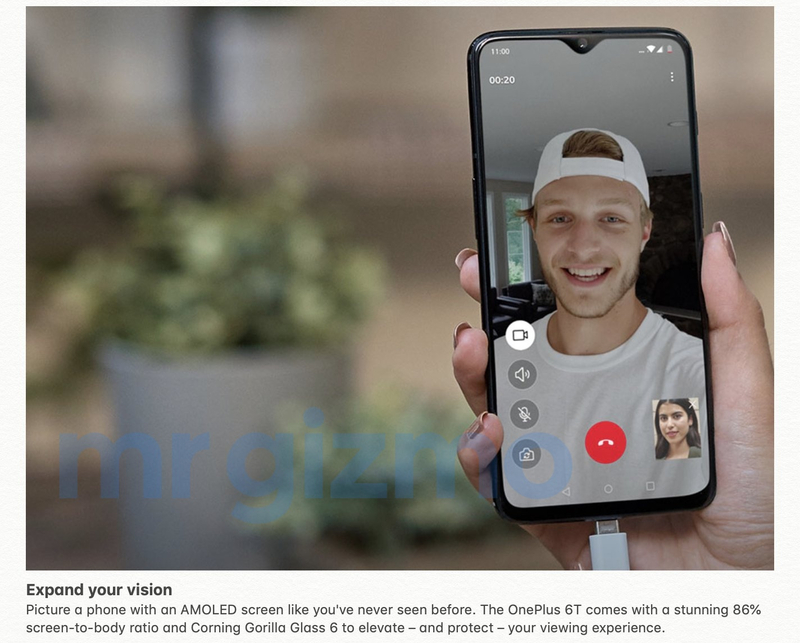 If the leak is valid, this is all there is to know about the OnePlus 6T! However, we will wait till the official launch of the device on the 29 of October to know what OnePlus has in store for us.